You wish to discover the Aquitaine Region during your studies? Talence is the 4th city of the Gironde Department in terms of population. Enjoy this special, sunny region thanks to your student accommodation in Talence. Study’O offers you the choice among 3 residences: Study’O Talence-Gambetta (in the heart of Talence, very close to public transports, universities and shops), Study’O Talence-University (in the heart of the University campus) or Study’O Talence Medoquine (near faculties and hospital centres). 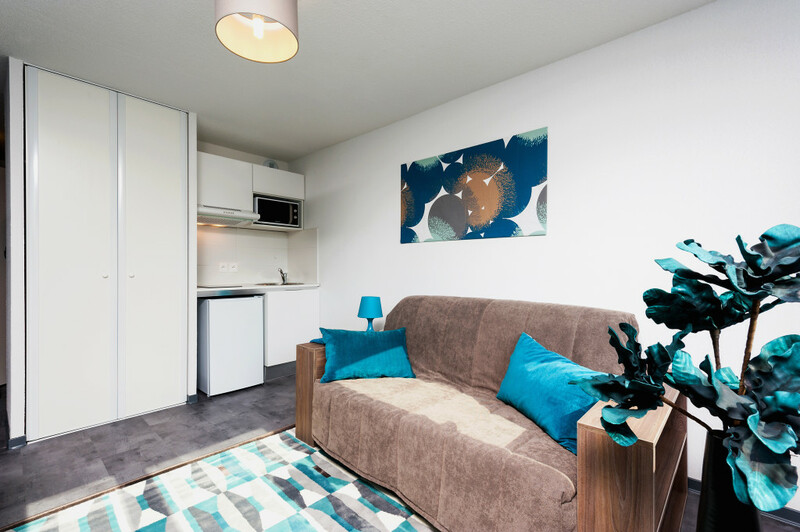 Our residences offer various student accommodations in Talence, from the 18 m² studio to the 43 m² one bedroom apartment. Your accommodation will combine comfort and well-being, thanks to its decoration and its a outstanding practical furniture. All our student accommodations in Talence are equipped with a kitchenette, a sofa bed, a desk area, a bathroom with shower and toilet, and a broadband Internet connection.